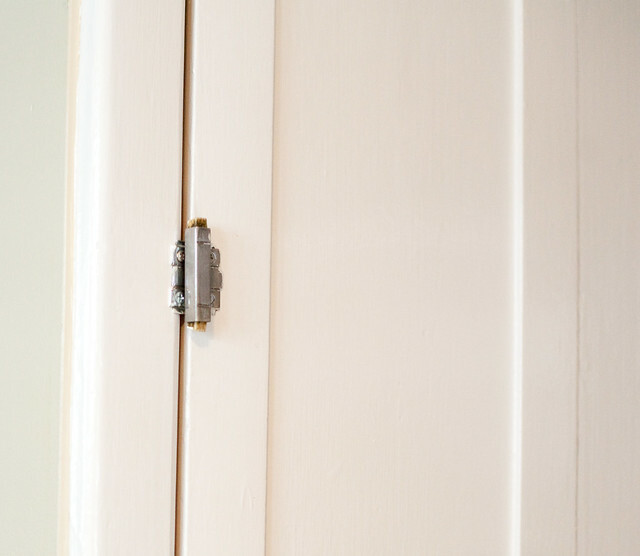 When we moved into our 1920s bungalow, I admired the old ironing board cabinet, but not being much of an ironer, I imagined converting it into a spice rack. The other day, my husband Matt decided to make it his weekend project. 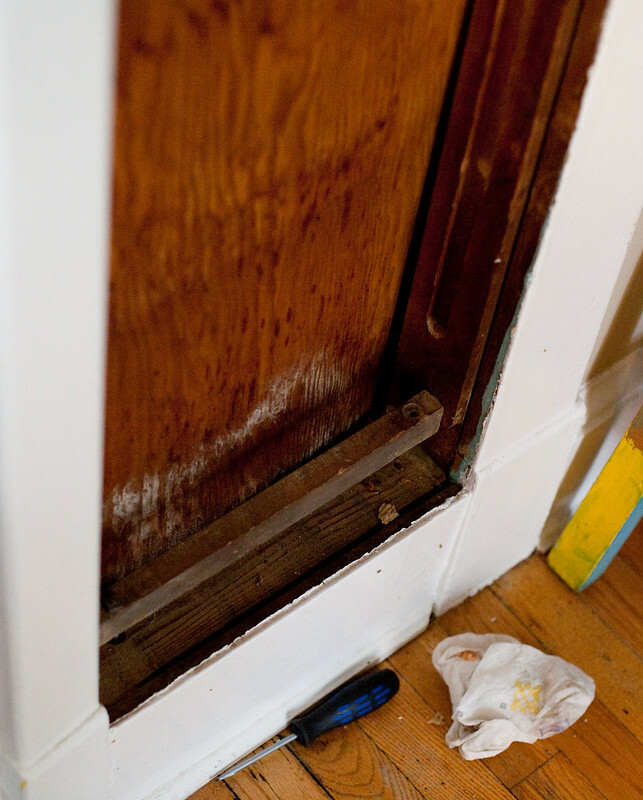 He started by pulling out the ironing board, which normally pulls up and out and then rests on the bottom cabinet door that moves out on an angle. 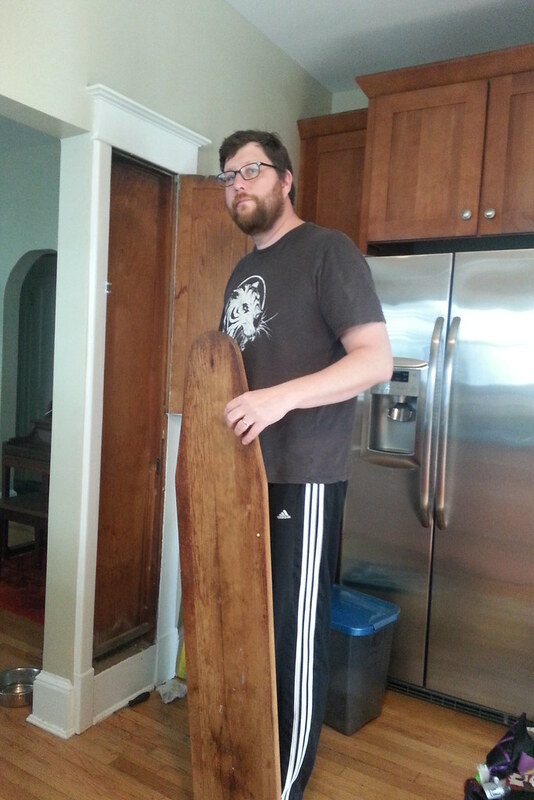 While removing the ironing board, the bottom cabinet door came out with it. 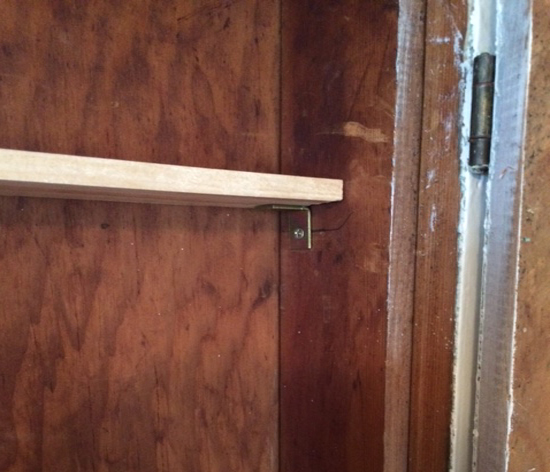 It’s not hinged to the wall to begin with, but is attached to the ironing board. 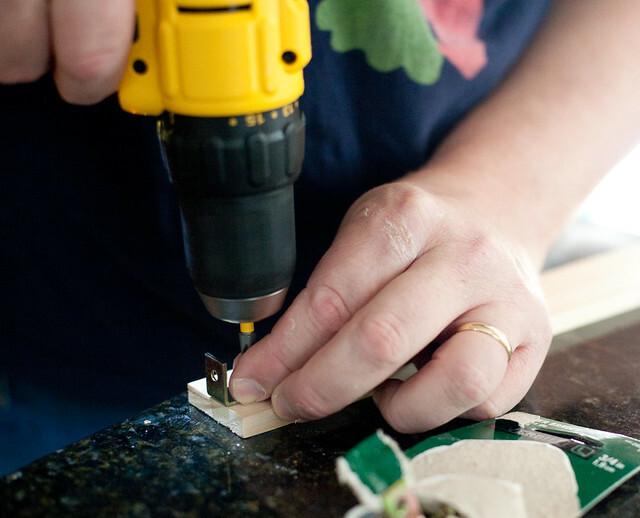 Next, he went to Lowe’s to buy the shelves, cut to size, along with brackets and hinges to use to reattach the bottom cabinet door. 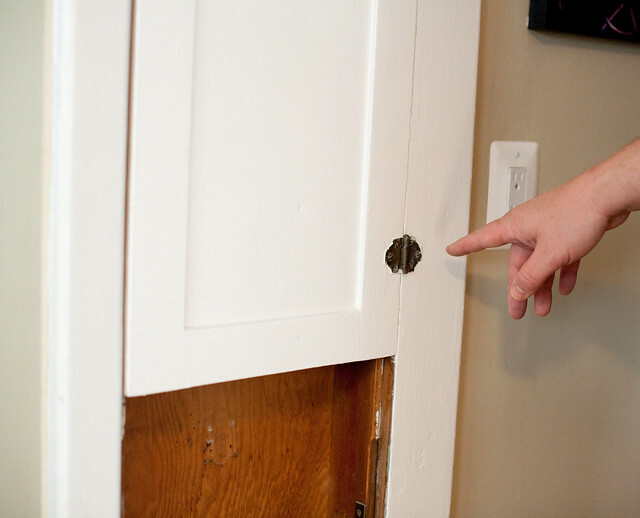 He was hoping to find a hinge to match the vintage one on the top door. 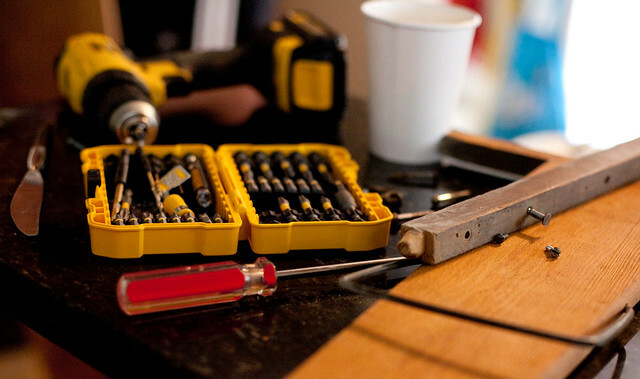 Matt then drilled the brackets on to the wooden shelves before screwing them in place inside the cabinet one by one. 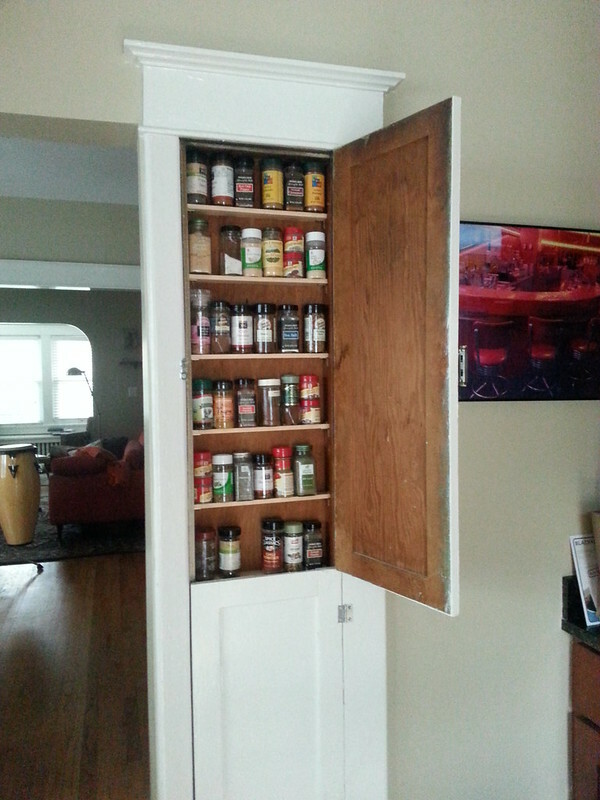 Now, when we open the cabinet, we see shelf after shelf of spices. 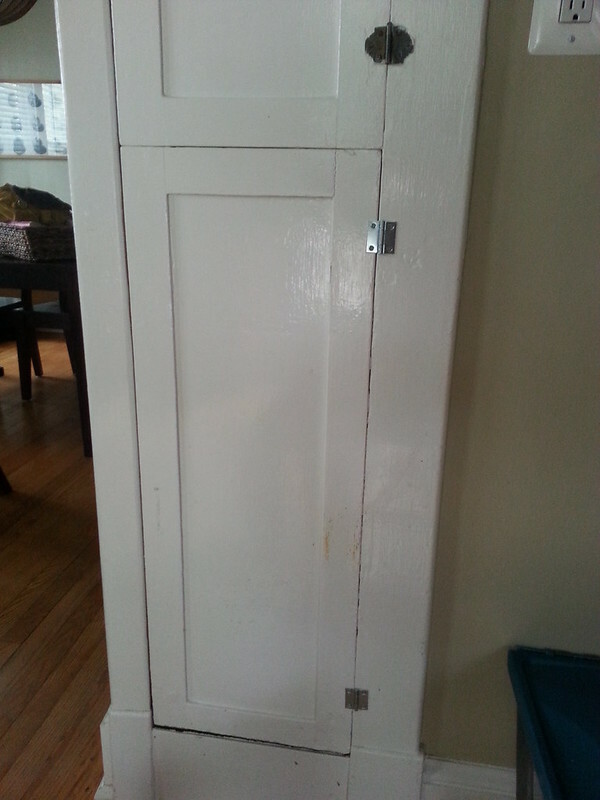 Matt wasn’t able to find matching hinges for the bottom cabinet, but I’ll keep looking in case I spot one or two in a estate sale or the like. 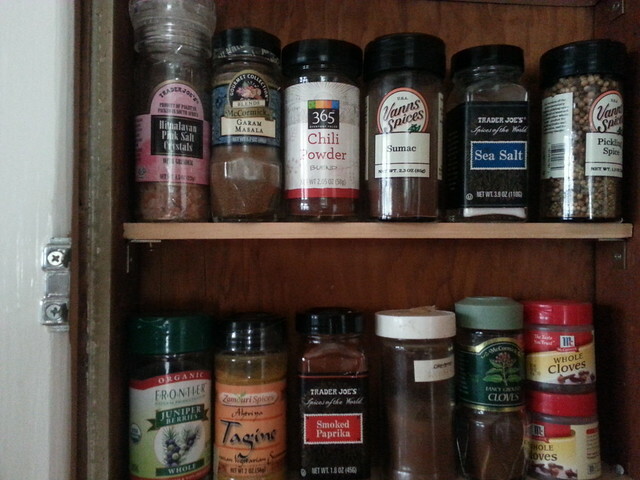 And soon I’ll enlist one of my daughters to alphabetize the spices.